This year’s much-anticipated Cedar House Summer Fete is now in its eighth year and gets bigger and better every year. Pretty much all our patients attended and were very much involved in the organisation of the day. The Cedar Team were of course very hands on too, with catering organising the food and manning the BBQ, our music lead organising the entertainment and the maintenance team set up our new stall; a coconut shy (they make an exciting new stall every year). Everybody helped to set up the day before the fete and patients were impatiently waiting for staff to arrive on site so that they could get out and get on with it! Some of our patients were able to work closely with the maintenance team on some of the more involved construction pieces, meaning that they have gained invaluable skills as well as the confidence and pride of having built something as part of a team. Others manned the stalls and had the experience of taking responsibility for ensuring it ran well, which was no small feat in some cases. 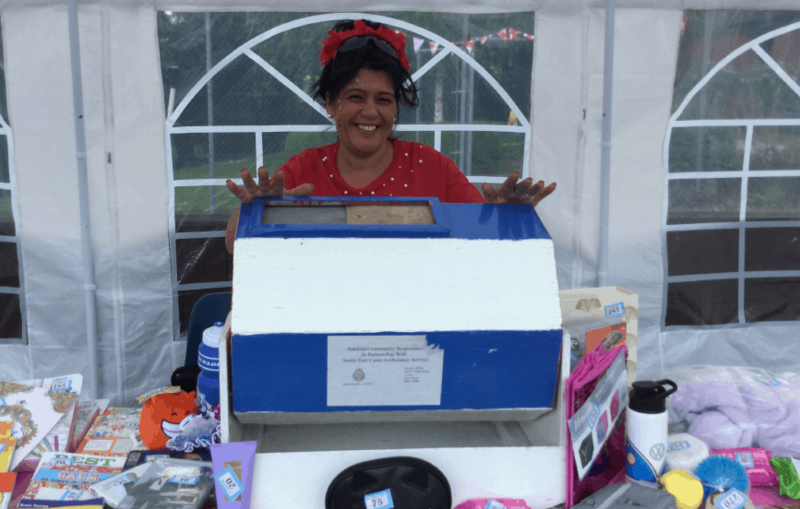 The fete is not only well attended by existing patients but a number of previous patients also returned to visit – some have been every year since they left us. Families and the broader hospital community also came along and enjoyed the raft of activities on offer. We’re very lucky to have some very generous and supportive local businesses that donated some great prizes for stalls. From traditional cake stalls and tombola, to bash the rat, spin the wheel and the opportunity to throw soggy sponges at team members in the stocks, a great deal of fun was had by all. A particular highlight though, was the music. Our music lead Douglas brings along his very talented family (who all play and sing) and entertained us into the afternoon. Douglas had also worked with patients in the run up to the fete to enable them to perform on the day – which was a huge success. However, it seems the most popular attraction was Blue, our Cedar House Manager’s new puppy who came along and took part in some good old-fashioned tennis ball chasing!